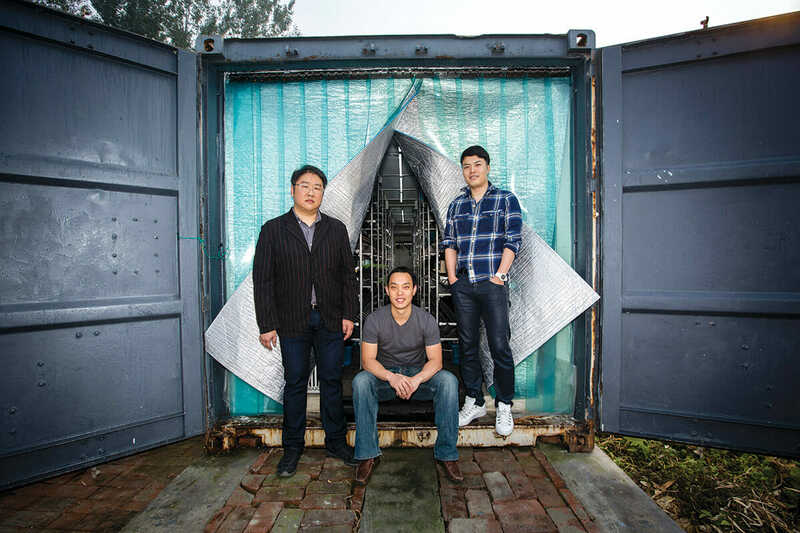 These three men quit their tech jobs to start growing vegetables in a recycled shipping container. Their company, Alesca Life, was born after Ha and Oda researched problems caused by rapid urbanization for their previous employer, Dell. “For China, I think there’s a particularly pressing need to develop better solutions for agriculture because they haven’t completely solved their environmental issues,” says the worldly Ha, who is part Chinese, part Korean, grew up in Oregon and has lived in Shanghai for the past seven years. Ha says his team took a gamble because they believe the nascent industry is bound to take off due to mounting food safety concerns. Although shipping containers have been used for urban farming elsewhere in the world, it’s a relatively new concept in China – largely because the materials necessary for growing vegetables hydroponically were difficult to source until recently. Ha says his team took a gamble because they believe the nascent industry is bound to take off due to mounting food safety concerns. Together with the 32-year-old Komoda, who came from a manufacturing background and was interested in developing LED technologies for indoor agriculture, they devised their own solution by building a hydroponic growing system that’s ideal for high-density urban areas. Working with an architect in Beijing, the team spent a year designing and retrofitting the container from the ground up. Not only is it sheltered from air, water and soil pollution, it can even be monitored remotely through a smartphone app, which provides data on light, nutrient dosages, air temperature and water circulation.